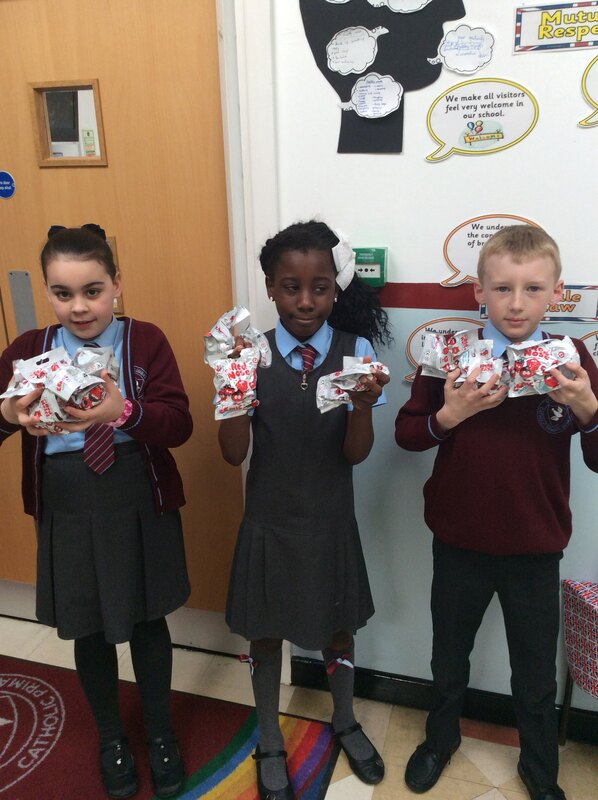 We raised £200 in 2 days selling red noses. We just want to say a MASSIVE THANKYOU to everyone who bought a nose. We will sell them again next time. 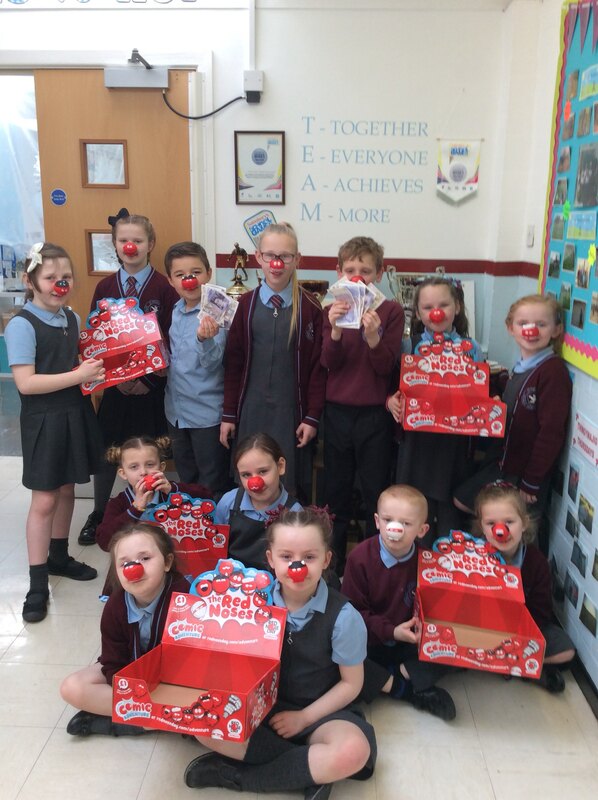 The red noses have arrived ready for comic relief on Friday 24th March. They are on sale now, buy them quick and keep them to wear on Red Nose Day. Thank you to all or our parents for supporting us with all the charities we support through the year. The Attendance reward is coming!!!!!!!!! 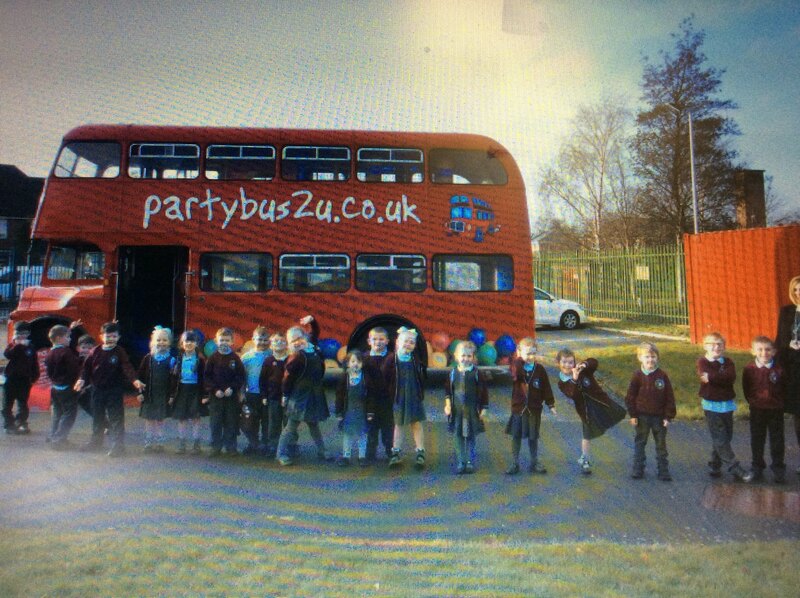 At Christmas we had fun on the party bus, our reward, as chosen by you, for Easter will be bouncy castles and hot dogs. Obviously the pictures will come once we’ve had fun on it. Just 3 weeks to go so make sure you’re in every day, you wouldn’t want to miss out. The attendance reward for this term will be announced soon. The council had a meeting last week and then asked the children in school for their ideas. We will look at all the suggestions and decide the best one. Keep and eye out for the results next week. As a reminder here is year 1 outside the Christmas treat. 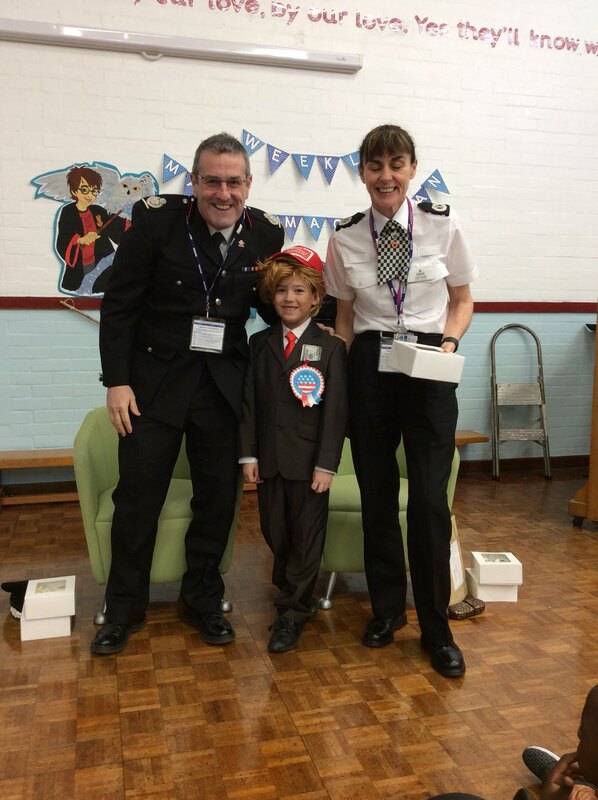 Our special guests who came to read to us today were Assistand Chief Constable Julie Cooke and Deputy Chief Fire Officer Phil Garrigan. 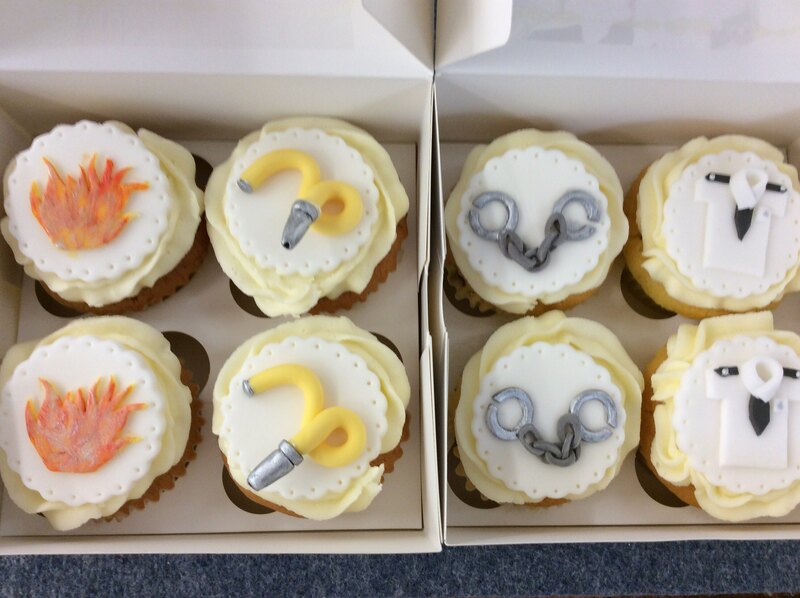 President Trump managed to take time out of his busy schedule to present their cakes as a small gesture of our appreciation. World book day has arrived. Can you tell by the gifts who our special guests will be?